NORRISTOWN, Pa., September 21, 2018 – Phil Jackson’s NBA teams won 11 NBA titles. But, Jackson has won 12, not 11 pro basketball championships. And on Saturday, September 22, a new motion picture will reveal details of the mostly forgotten 12th championship and explore the 35-year old link between Jackson and Jim Drucker, now the owner of the world’s largest comic book store, NewKadia.com. 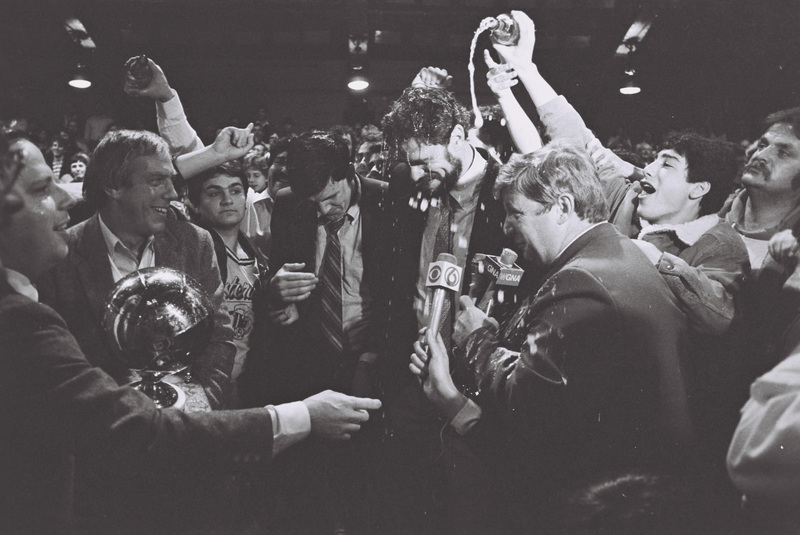 In 1984 Drucker, then the Commissioner of the Continental Basketball Association (CBA), presented its championship trophy to Jackson after his team, the Albany (N.Y.) Patroons won the CBA title. Three years later, Jackson joined the Chicago Bulls. Drucker continued in the CBA until 1989, then became ESPN’s first Legal Correspondent and later the Commissioner of the Arena Football l League. The Patroons were the jewel of the CBA. The Patroons launched the careers of coaches and players such as Phil Jackson, George Karl, Bill Musselman, Rick Carlisle, Scott Brooks, Tony Campbell and Mario Elie. The team energized the city and the league, helping Jim Drucker grow the 8-team CBA from a financially struggling regional league into the NBA's official development league, with $1 million NBA contract, 16 teams coast to coast, and an ESPN television Game of the Week. The documentary movie, “The Minor League Mecca” provides an insight into Drucker’s “first act” in the sport while detailing the history and success of the Patroons from 1982 to 1992, the pinnacle of pro basketball in Albany’s Capital Region. The film premieres Saturday in Albany. The movie features never-before-seen interviews with Phil Jackson, George Karl, Rick Carlisle and Scott Brooks, each of whom achieved fame and success as head coaches in the NBA. Meanwhile, in December of 1999, when Amazon’s Jeff Bezos was selected Time Magazine’s “Person of the Year,” Drucker followed Bezos into the then-speculative world of internet retailing. Today, his company, NewKadia.com is the world’s largest comic book store selling only on the internet. Additional information about Jim Drucker and NewKadia.com is available at http://www.NewKadia.com.